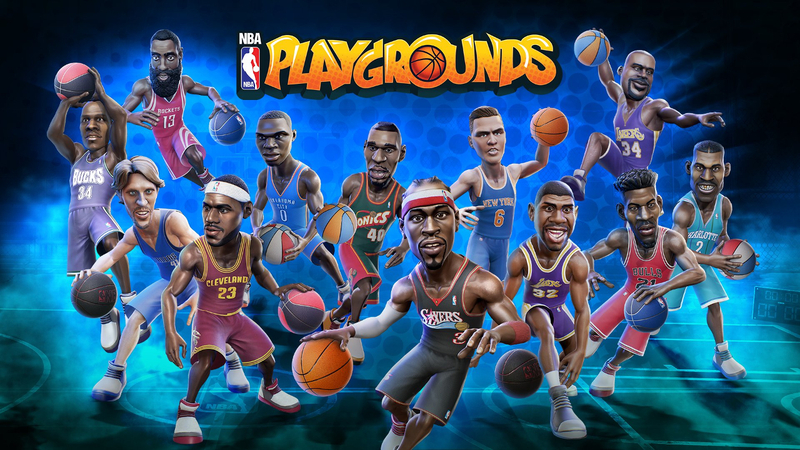 One of the bigger complaints with the design of NBA Playgrounds relates to the manner in which players are obtained. Playing the game leads to earning new card packs, but it’s completely luck of the draw and at a certain point duplicates end up taking over the openings and frustration sets in if seeking one or more specific players. Some people may have received the player/s they wanted most right away and others may still be waiting for them to fall into their laps. Saber Interactive has attempted to reduce the number of duplicates through patches but now are offering another solution. Today DLC released on Xbox One, PS4, and PC that allows for the entire roster to be unlocked for a price of $10. On one end this can be seen as giving people a path to the best players without having to put any effort into the game and there’s some backlash on social media already with that in mind. However locking players away in this manner was always a poor design decision. Preventing fans from playing with the individuals they most desired – and may have even purchased the game for specifically since they were promoted prominently – is not the way to keep them engaged in and satisfied with a product that stumbled out of the gate and is trying to establish itself as a franchise going forward from here.